Connecticut General Life Insurance Company was established in 1957, but in 1982, it merged with the Insurance Company of North America to form CIGNA. Their medical care covers preventive care, emergency care, and prescription drug coverage. Two options for health insurance are an Open Access and Health Savings Plan. The Open Access plan allows you to choose your own doctors whether in or out of network. Under this plan, there is no referral required to see a specialist. The Health Savings Plan is a tax-deductible plan, which allows you to put pre-tax money into an account to use for medical expenses. There is no referral required under this plan either, and you are also free to see doctors that are in or out of network. To obtain a quote from CIGNA you can either call (855) 340-2587 or obtain one online. To receive a quote via the website, fill out the application and submit the form. The whole process takes approximately 30 to 45 minutes. Quotes can be saved up to 30 days from the day the application was processed. As a CIGNA policyholder, the company offers its customers certain benefits. For example, myCIGNA.com provides the ability to pay your premiums online, review your benefits, view and manage claims, and read health articles. CIGNA’s company pharmacy delivers medicine directly to your door. 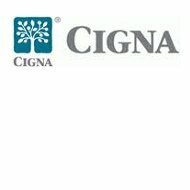 CIGNA also provides help to its insured’s 24 hours a day. Not only is their customer support center open 24 hours a day, seven days a week, but nurses are also available to answer health related questions. CIGNA Healthy Rewards provides discounts to fitness clubs, weight management programs, acupuncture, and LASIK vision correction. CIGNA supplies valuable online information to its customers. For example, you can compare the cost of medications, medical services, and hospital care. Insurance terms are also explained within the glossary section. Lastly, the site provides a questionnaire, which compiles a confidential health assessment. Other benefits CIGNA offers include their involvement in the community. For example, they put on a 5k race every year, offer educational seminars on Autism and eating disorders. You can also follow CIGNA on Twitter and Facebook. The latest technological update is the ability to view CIGNA’s learning lab on mobile devices. Claims through CIGNA should be processed through the physician’s office electronically. All forms and procedures for claim filing can be found on the website under the provider section. Should your claim be denied, CIGNA offers a grievance and dispute section on their website. CIGNA would like policyholders to first call customer service to inquire about the denied claim. If this does not resolve the issue, an appeal form can be completed and submitted to CIGNA. A two-step process is preformed to review the appeal before a decision is made. If you are still not satisfied, an external review may be requested and completed by your state insurance department. CIGNA careers can be found on the CIGNA website under careers. You can view opportunities by entering keywords, location, type of career, or job identification number. The site also offers the option of establishing an account so that applicants have the ability to view job opportunities, submit a resume, and view a resume and interview guide, and latest job postings. Career paths are also explained on the site. Paths for customer service, claims processing, medical professionals, and sales are all listed with job descriptions, and current employee biographies. CIGNA has received recognition for being one of the 50 best places to launch a career by Business Week and a top 100 employer by The Black Collegian. CIGNA’s website provides various contact information depending on what department you are trying to reach. For example, there are contacts for members and prospective members, contacts for employers, contacts for healthcare professionals, and contacts for brokers. General information can be obtained by calling 1-800-CIGNA24. CIGNA maintains two headquarters in Connecticut and Pennsylvania. Directions to both locations are available on the website. CIGNA maintains a rating of an A by A.M. Best. Compare other insurance companies and receive quotes from active health insurance providers by typing your zip code into the free rates tool now!